When you are constructing a luxurious new residence for your family, you may want to include an elevator in your design. Elevators add superior convenience to multi-level homes, and your residential elevator is sure to delight your family and friends. A company that offers high quality elevator sales near Salt Lake City will work closely with you to help you choose a unit that meets the needs of your family. By selecting your elevator carefully, you can make sure that it provides you with years of service. 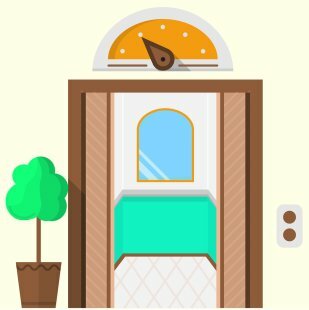 Here is a look at some tips to keep in mind when you are choosing a home elevator. An elevator will take up space on every floor that it services. By keeping space in mind as you are choosing your new elevator, you can make sure that your elevator integrates seamlessly into your home design. If you have a smaller home, or want to save space, you will want to find a compact elevator that is designed for residential use. Style is also a key consideration when you are choosing a new home elevator. New elevators come in a variety of styles, so you will want to pick out a model that matches the interior design scheme of your home. If your home has classic design cues, it will be important to pick out a classically styled elevator that features luxurious embellishments. Modern homes may look best when they are paired with streamlined elevators. The right home elevator will be easy to maintain over the years. When you are shopping for a new elevator for your home, you can ask your sales team to help you find a new elevator that has a great record of reliability. As you are making your purchase, you may also want to inquire about any warranty or service plans that are included with your unit. By selecting your elevator carefully, you are sure to enjoy your purchase.